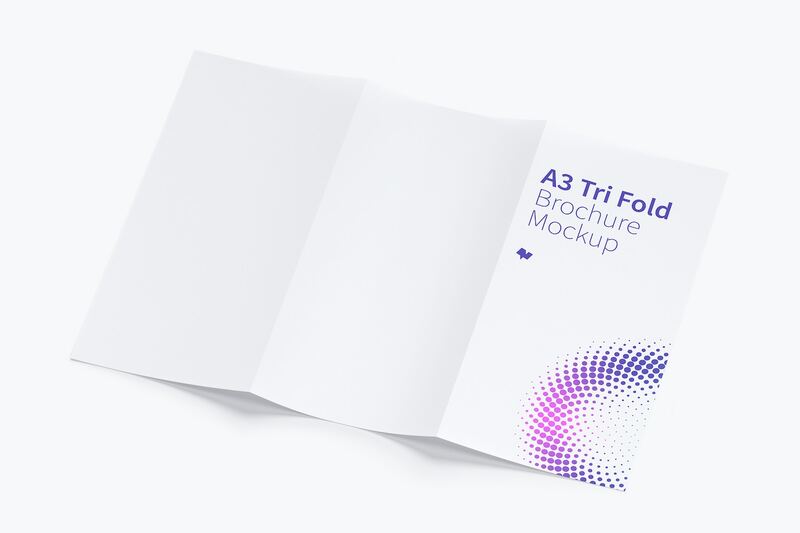 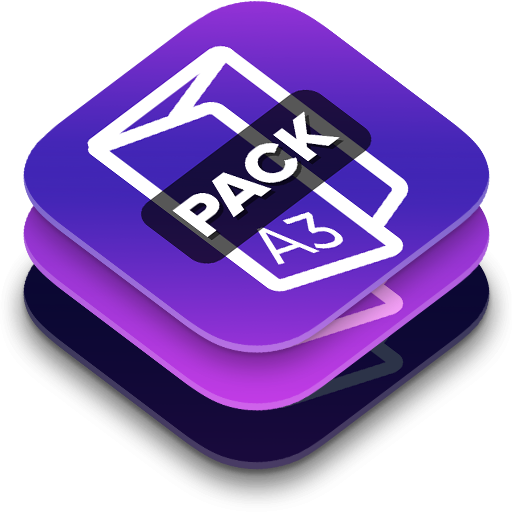 Now we bring to you a New Pack with 6 different views of an A3 Trifold Brochure Mockups. 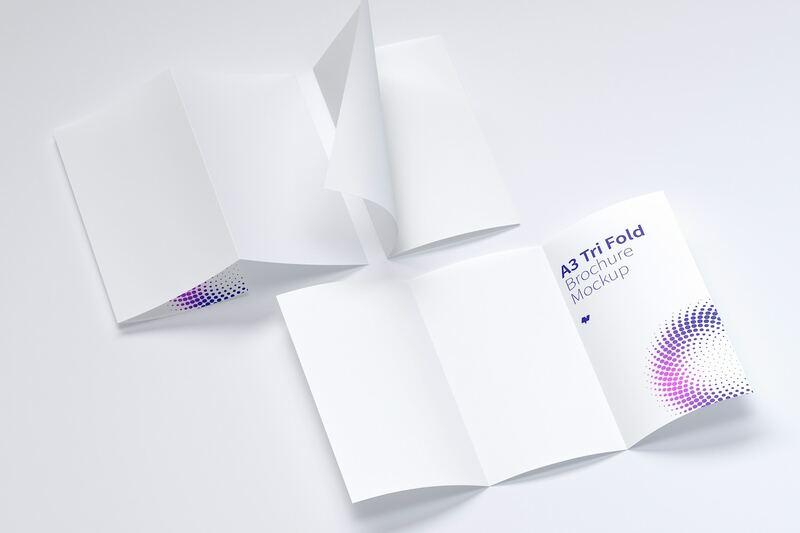 This is a type of stationery common for business and advertisement because let you break up the information into sections. 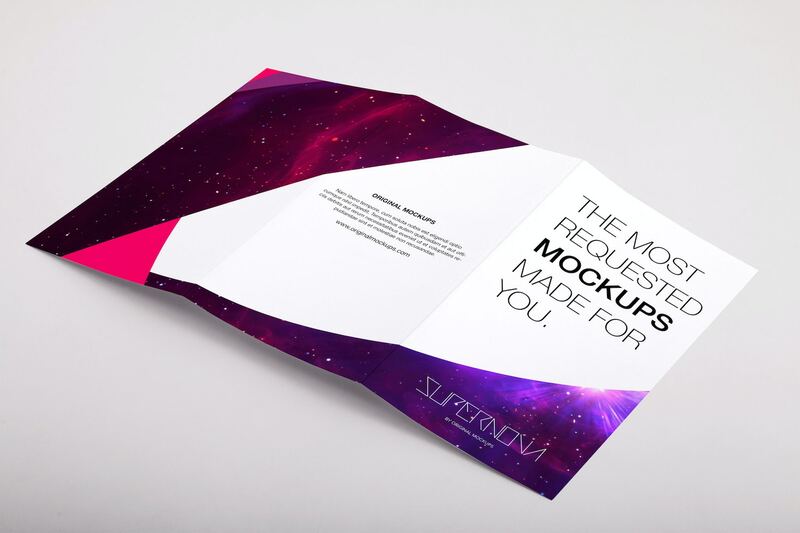 If your clients need to present a range of products or services this type of piece will be ideal. 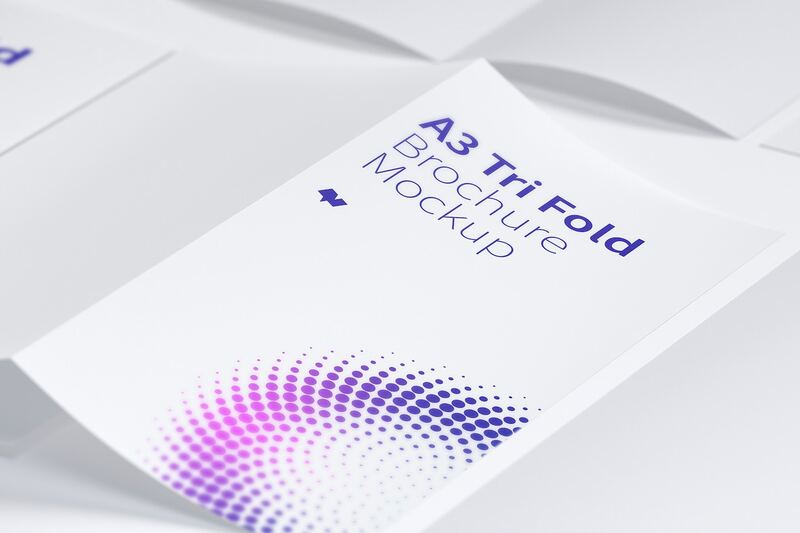 This brochure is also compatible with an A4 and A5 size paper. 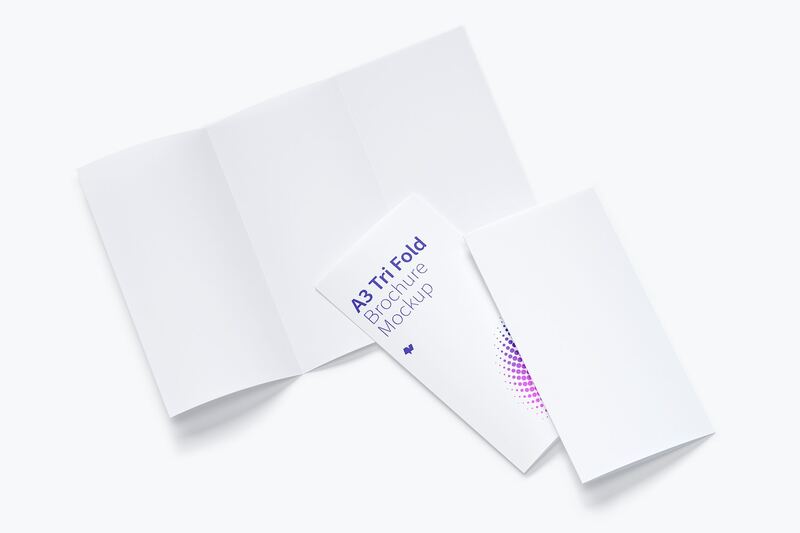 A trifold brochure is divided into 6 individual panels split between the front and back. 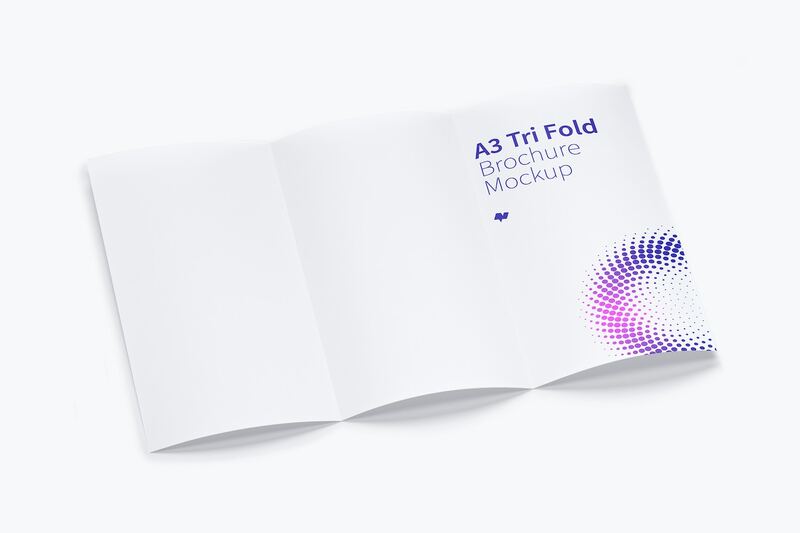 With the Blueprint & Play technique, the PSD mockup will be easy to customize and your design fit perfectly into the panels. 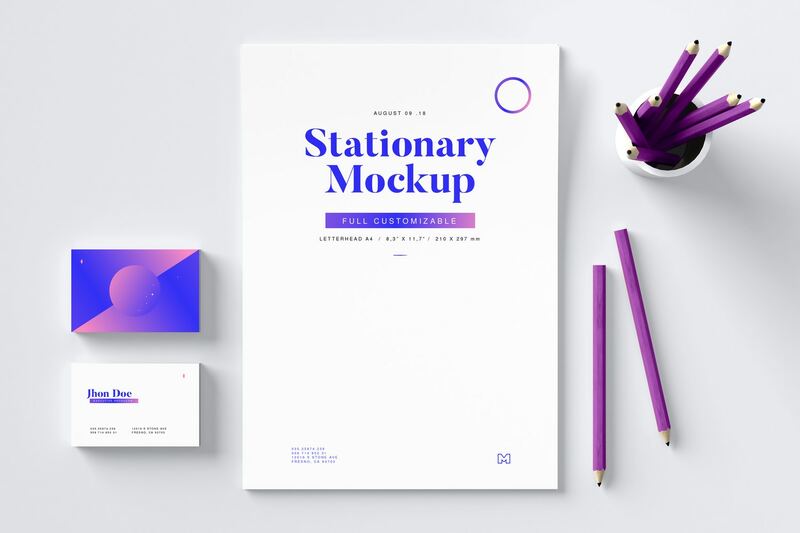 Put to work your creativity to make a stunning artwork changing the contrast of the background with the piece or adapting it to light or dark mode. 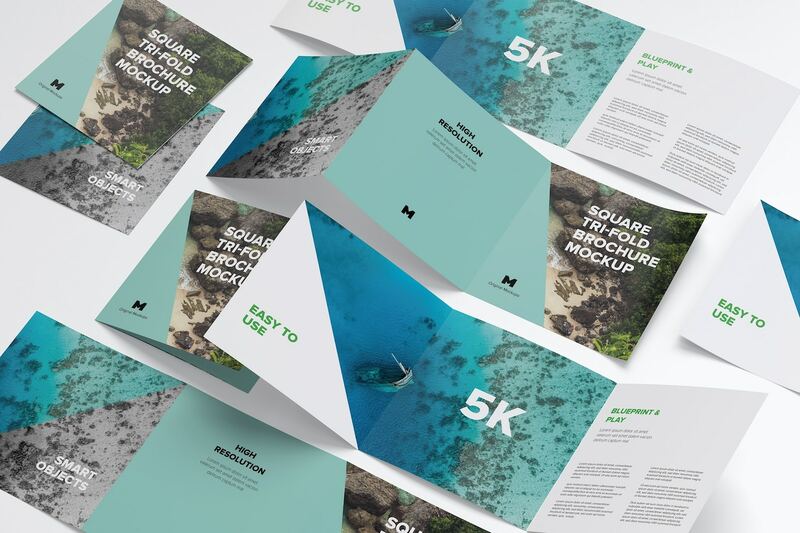 Thanks to its 5K of high resolution your customers will have a realistic scene to know how is going to work the design in real. 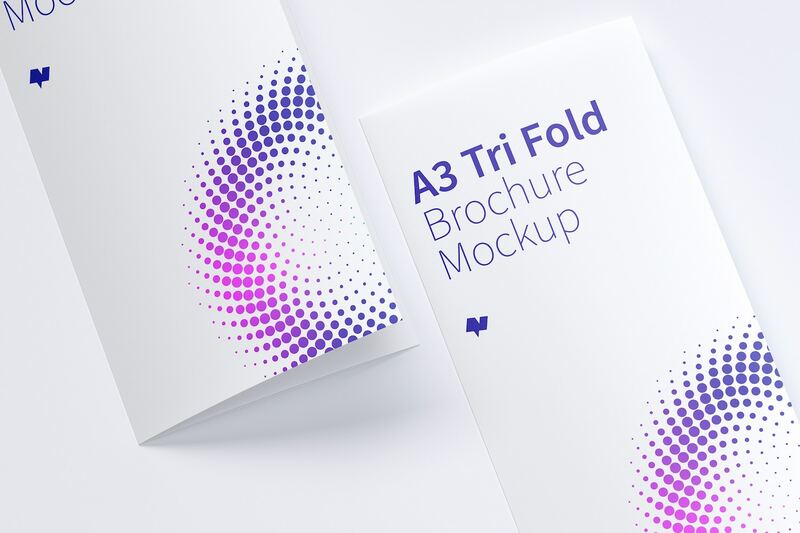 So download this pack to get a range of pieces in different previews, highlight your work and impress your clients.